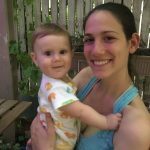 Prenatal Yoga Center | July Mom of the Month: Meet Jessica Mintz! 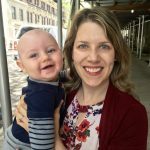 July Mom of the Month: Meet Jessica Mintz! Community and support are a vital part of Prenatal Yoga Center. To help encourage relationships and get to know one another a little better, we like to introduce a new mom and her baby each month. 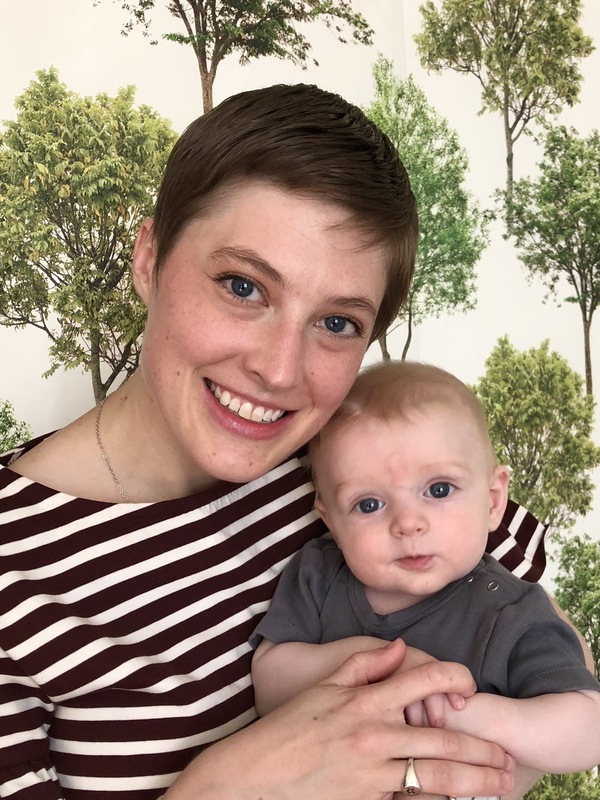 This month, we are pleased to introduce you to Jessica Mintz and her son Bradley! 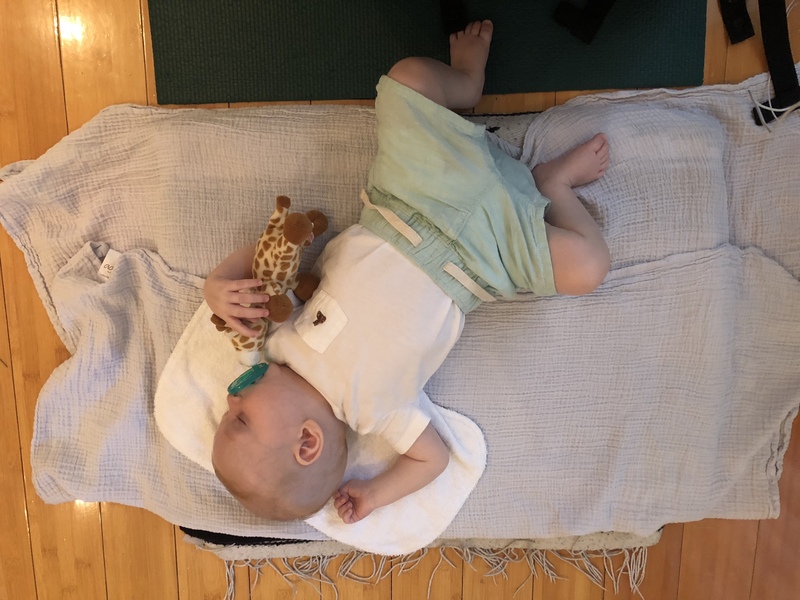 Jessica frequently attended Postnatal Yoga and Baby & Me classes while on maternity leave, she’s back at work now and has some great insights on making that transition. 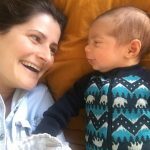 How did your yoga practice affect your postpartum journey? Both the Baby & Me and Postnatal classes helped with the shoulder and back pain that came from being a new mom, but even more important was having a reason to get out of the apartment each day, even if Bradley was fussy, or I didn’t have time to shower, etc. It helped me become more confident taking him around the neighborhood, and even that little bit of structure to the day improved my mental health. The physical benefits of my yoga practice were expected, but the emotional and social support it provided turned out to be more important to me personally. What’s your favorite way to bond with Bradley? I love reading with Bradley. More often than not he reads by putting the pages in his mouth, but the excitement of discovery in his eyes is so special (even if he has seen/tasted the book many times before)! How has your transition back to work been? The transition back to work has been less difficult than I expected; I think the anxiety created by the anticipation of change is often worse than reality. It was important to remember to be gentle with myself, which is a lesson I learned often in both my prenatal and postnatal yoga practice. May’s Mom of the Month: Meet Jada Strabbing! Mom of the Month: Meet Nadine Katkhouda! Hi! Thanks for sharing your story. It was just so amazing and inspiring that you are so handy in both of your baby’s’ and your personal health. Just so lovely to hear such kind of stories. Thumbs up!